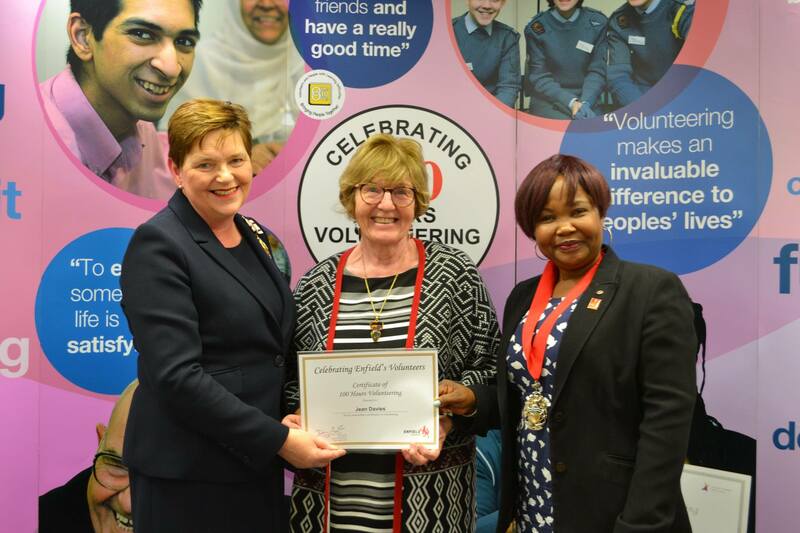 A huge thank you to all our volunteers but especially this week to Jean Davies, Alison St Denis and Lindsay Rawlings who have all been awarded a special certificate this week by the Mayor of Enfield recording the fact that they have been volunteering with ETN for over 100 hours. Thank you too to Lynda Cole who edits our fourth weekly team. Lynda received an award for her volunteering with the Friends of Bury Lodge Gardens. 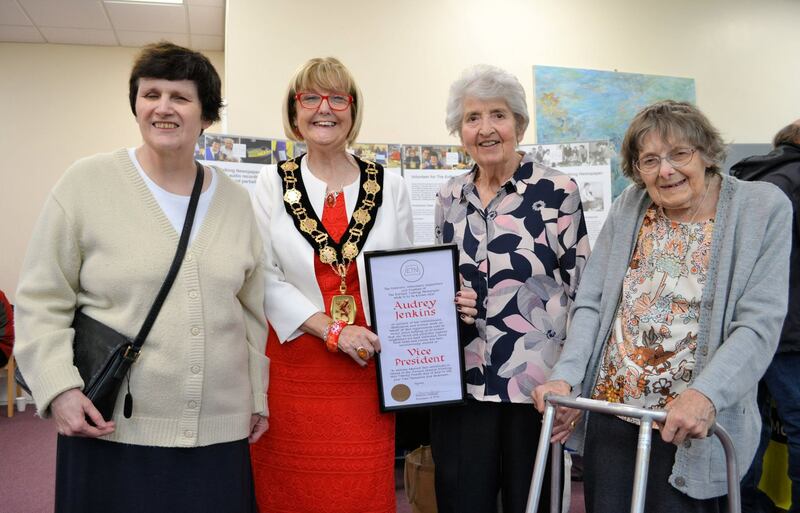 The Mayor of Enfield, Cllr Christine Hamilton presented Audrey Jenkins with a special certificate marking her election as Vice President of our Charity at our AGM in July. Also pictured (left) is Diane de Jersey, our Vice Chairman and (right) Pat Allbutt our president, who has been involved in ETN as a volunteer since 1961. Audrey has been an ETN volunteer for 23 years and was Chairman for seven years, stepping down in our 50th Anniversary year in 2011. Thank you to all our listeners and supporters who came to visit our stand at this year's Enfield Vision Focus Day on Saturday 23rd September 2017 at Community House, 311 Fore Street, Edmonton. 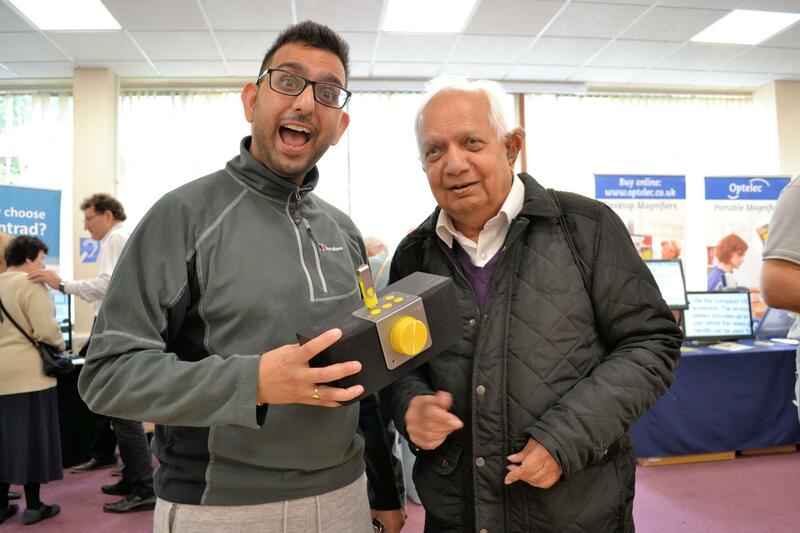 We were delighted to meet so many happy listeners as well as relatives and carers as well as friends from the Thomas Pocklington Trust, Middlesex Association for the Blind and Enfield Vision. We also met Peter Hicks, Chairman of Lea Valley Talking Newspaper (our neighbours!) who came along to say hello. A wonderful day! Thank you to Enfield Vision and David Marke at Enfield Council for all the work arranging the Focus Day. We would like to thank Phillip Chard and the Palmers Green Festival Team for organising a wonderful event on Sunday 3rd September. We had a stall for the first time and were made to feel very welcome by Phillip and the team despite being slightly last minute with our arrangements! We were delighted to have raised £250 from our tombola stall. 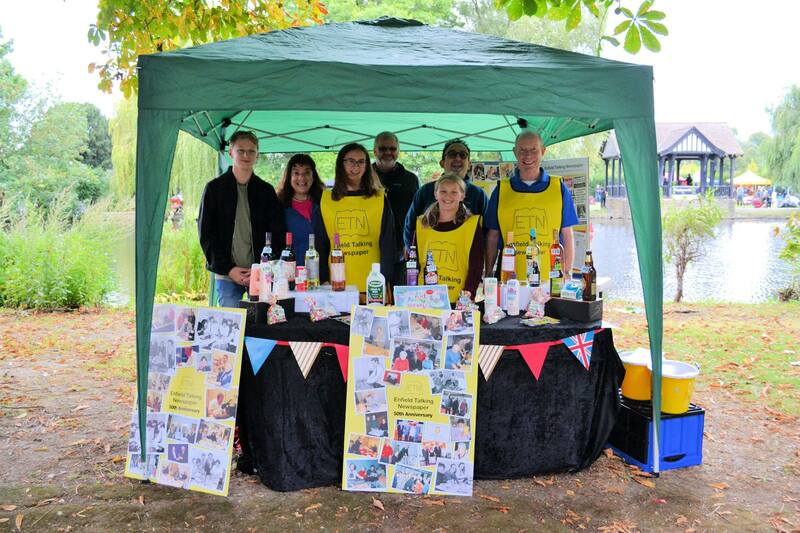 A big thank you to Katherin and Dem Demetriou for organising the stall and to the Bishop-Laggett family and John and Pat Belcher and Jake Hitch for manning the stall so well and attracting visitors to have a go on the tombola. Recently we have begun to lose a lot of memory sticks in the post, which means our blind and partially sighted listeners are missing out on local news and information. The money raised will be used to buy replacement memory sticks. Thank you to Ian Bishop Laggett of our Management Committee for all the behind-the scenes work on setting up our new website, which is already proving to be an excellent way for us to show the world what we do each week and why it matters. Thank you to everyone who has been in touch since the launch of the site. We are finding we are receiving many more calls from potential volunteers and listeners too. Thank you Ian!